All relationships allow you to express and experience yourself fully. 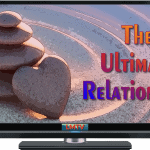 Create “ultimate” relationships that amplify this power to the next level. Copyright © 2018-Present, David D McLeod.